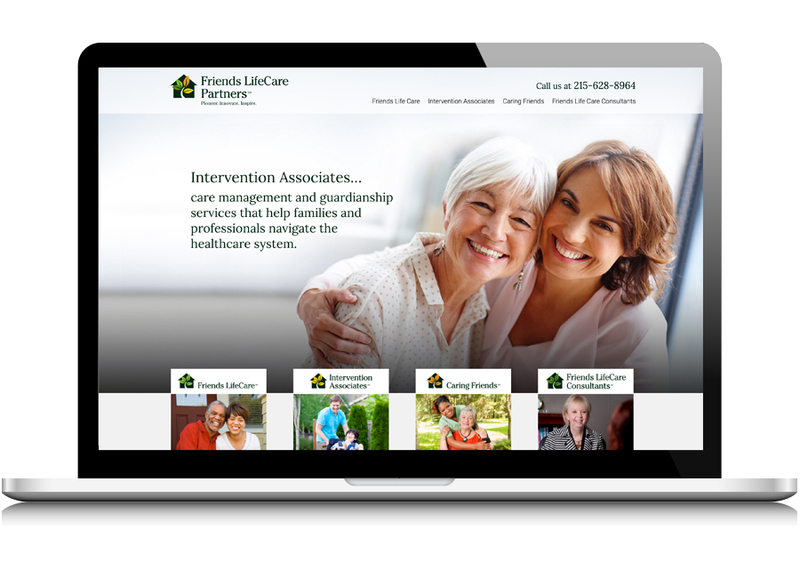 Create a landing page to launch a new brand structure that redefines a well-established group of healthcare companies. 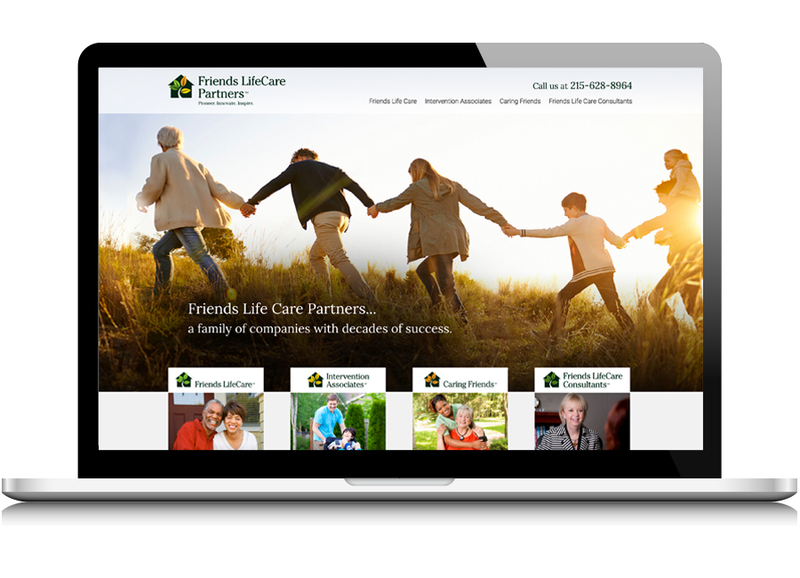 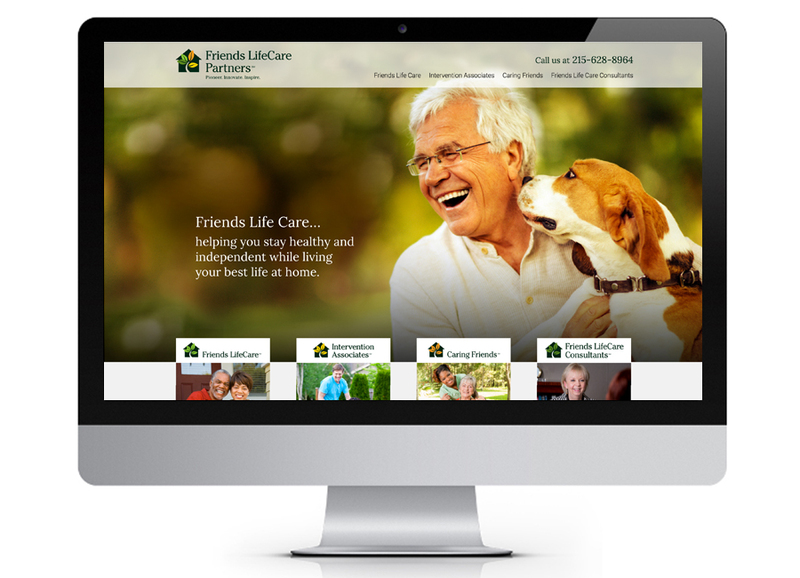 Friends Life Care Partners became the new parent brand for a family of companies long known for providing premium services designed to support healthy aging in place, provide care management and guardianship, deliver home care help and offer consulting to other non-profits. 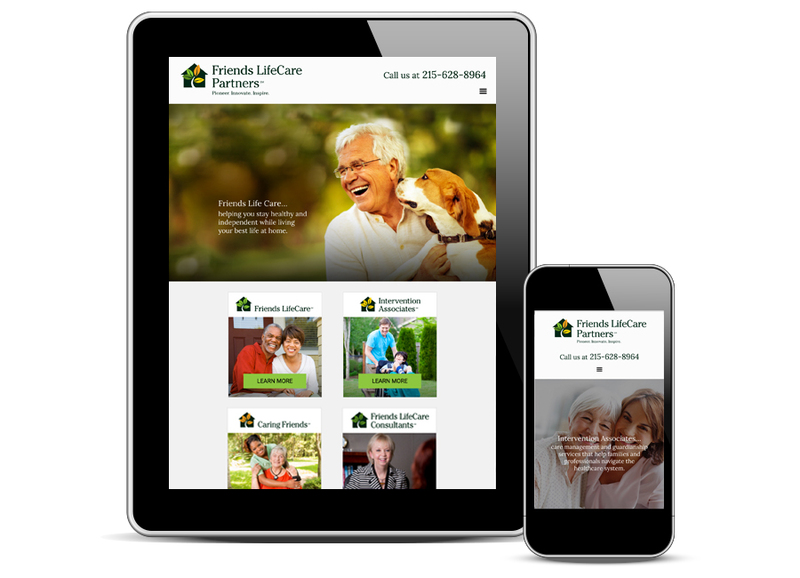 We worked with the Friends team to update the brand as it related to all companies in the system and create a landing page that not only announces the new corporate structure, but creates a unique persona for the parent and family member brands.